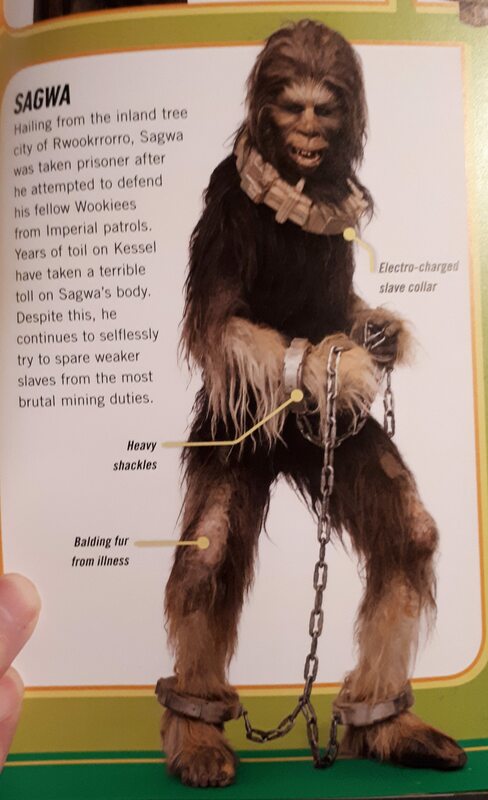 Poor scraggly, pale-nosed Wookiee. I like his colour scheme though. His face looks halfway towards Chewie's dad's creepy bald face. I like the color pattern. I should take a look at the books, I just never seem to think about them for some reason.